An unconventional friendship unfolds in Victoria & Abdul, starring Judi Dench and Ali Fazal. The unlikely relationship between Queen Victoria and her munshi or teacher which defied royalties comes at a perfect time. The story of two Indian common men in the early 1900s who were brought to England to deliver an important item to the queen for the Golden Jubilee is as timely as ever. In the present times where cultural divide is prominent, the mostly based on true events narrative of the film was perfect. Abdul Karim (Fazal) caught the eye of the Queen (Dench) during a ceremony and their friendship started there. Dame Judi Dench as Queen Victoria and Ali Fazal as Abdul Karim in Victoria & Abdul | Credit: United International Pictures. Dench portrayed Queen Elizabeth with such elegance, stubbornness, and hunger for the world. She is craving for knowledge and experience she did not and cannot have from the confines of the palace. Meeting a stranger from India offered her this opportunity. Karim won the queen over with his wit, knowledge, and fresh perspectives. In a table-turning event, the servant is now the Queen’s teacher. He taught her Urdu- the Royal language of India, among many others. Not everybody in the palace supported the foreigner’s rise in influence to the queen. The subdued political play did not overshadow the delightful connection between the two characters. The strength of the film actually relied on how it showed the blurring of lines and the development of friendship. Meanwhile, the film fumbled to find its tone. It was drama and comedy at once. It should not be an issue at all but the constant change of tone amplified the need for consistency. 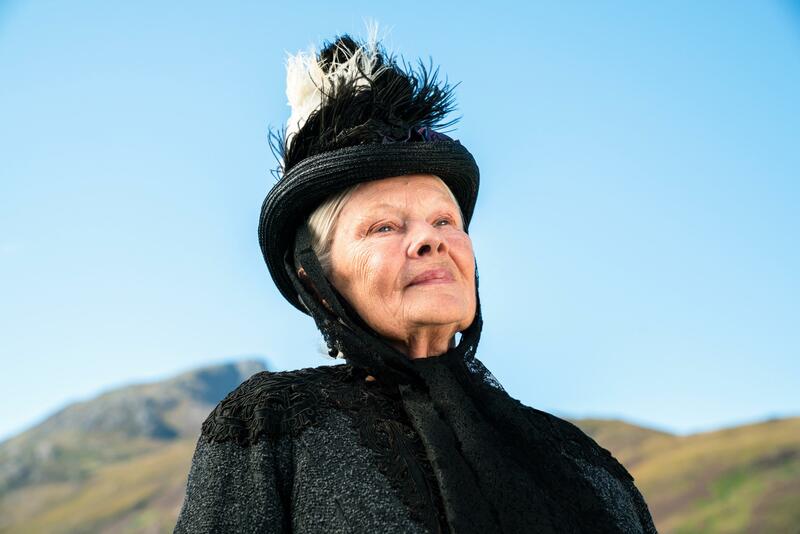 Dame Judi Dench as Queen Victoria | Credit: United International Pictures. Despite the minor flaws, Victoria & Abdul is a touching and relevant story that took place in an elegant setting. Take the film for what it is and forget its attempt at historical accuracy, Dench’s performance as Queen Victoria is as majestic as ever.